2 Station Cottage in Dalwhinnie, near Newtonmore, Highlands sleeps 5 people. 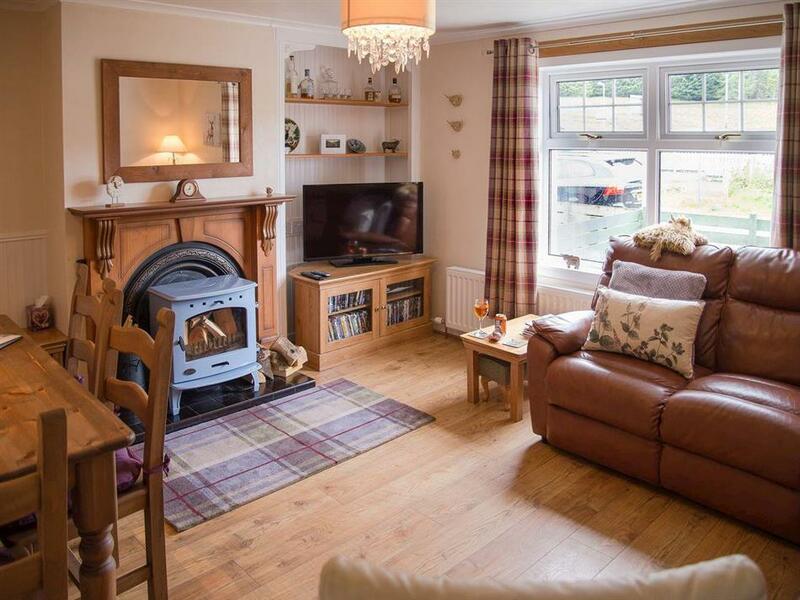 2 Station Cottage near Newtonmore is a semi-detached bungalow with a hot tub which enjoys a central location in the quiet village of Dalwhinnie in the Cairngorms National Park; Britain’s largest National Park. Dalwhinnie is shadowed by dramatic peaks such as Ben Alder, with Loch Ericht, the 10th largest freshwater loch in Scotland, at its base. The village is also well known for the Dalwhinnie Distillery, the highest in Scotland, where you can watch the distillers at work producing their peaty single malt. 2 Station Cottage makes just the perfect base for exploring the rugged beauty and timeless enchantment of this part of the Scottish Highlands. The area is a paradise for the outdoor enthusiast, with a vast range of pursuits including mountain biking, hillwalking, climbing, skiing, snowboarding, golf and fishing. For the water sport enthusiasts, you can go to Loch Morlich, Loch Insh or the River Spey, and all are within an easy drive. Newtonmore is just 6 miles away, where you will find a small range of restaurants, bars and shops, with a wider range available in the bustling town of Aviemore only 22 miles away. In Newtonmore, you can enjoy a visit to the Highland Folk Museum, which brings to life the domestic and working conditions of the earlier Highland people. Take a trip on the Cairngorm mountain funicular railway, visit the Cairngorm Reindeer Centre or the Highland Wildlife Park at nearby Kingussie. Children and adults alike will love a visit to the Landmark Forest Adventure Park in Carrbridge, a day filled with fun and activity for all the family. Visit the lovely Spey Valley golf course and the Dalfaber Resort in Aviemore, with its wonderful array of leisure activities. Further afield, visit the Moray coastline which is peppered with little fishing villages and beautiful beaches, and was recently voted in the top 20 of the best coastline destinations in the world! Whilst in the Moray area, take a trip along the Malt Whisky Trail – the only one of its kind in the world. 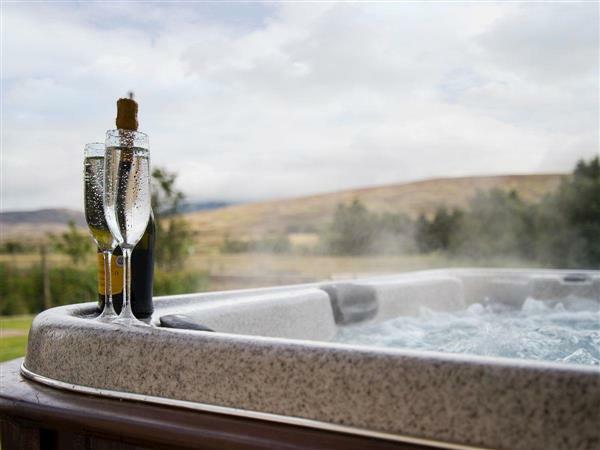 In all, there are many delights this area has to offer, with so much to see and do, and after an actioned packed day, take a soak in the private hot tub and relax. There is a shop 6 miles from2 Station Cottage near Newtonmore, with the pub and restaurant 200 yards from 2 Station Cottage. Living/dining room: With wood burner, 42 Sky TV (basic package) and DVD player. LPG central heating, electricity, bed linen, towels and Wi-Fi included. Initial logs for wood burner included, remainder at an additional cost per basket. Travel cot and highchair available on request. Welcome pack. Large, enclosed, lawned rear garden with sitting-out area and garden furniture. Hot tub for 6 (private). Bike store. Private parking for 2 cars. No smoking. Holidays at 2 Station Cottage run from Saturday to Saturday. Pets allowed at 2 Station Cottage. For a better idea of where 2 Station Cottage is, you can see 2 Station Cottage on the map below. Do you want to holiday near 2 Station Cottage (UK5778), you can see other cottages within 25 miles of 2 Station Cottage; have a look to find your perfect holiday location.